How well do you know the spaces and places constituting greater metropolitan Miami? 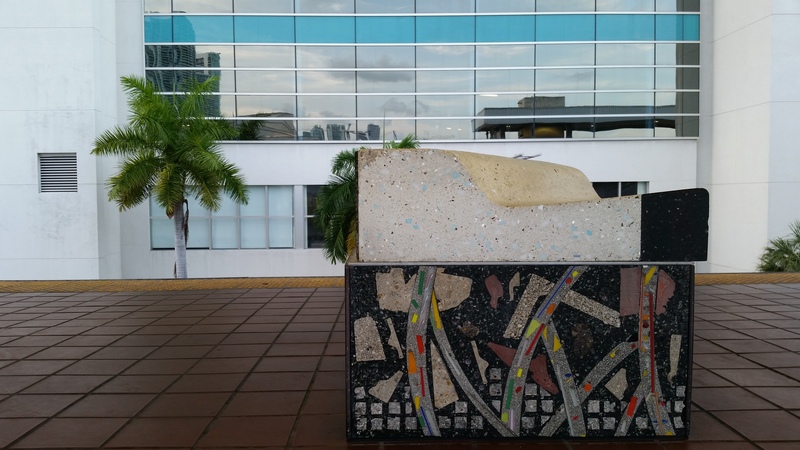 Miami Geo Quiz #30: This irregularly shaped, artistically decorated block is actually a bench, and you know exactly where it is! Right? If so, tell us! Miami Geo Quiz #29: Art Bench. Source: Matthew Toro. July 2, 2015. Don't be shy! Share your new geographical insights! People will thank you! This on is atop the platform of the Adrienne Arsht Center Metromover Station (aka, Omni Metromover Station). Adam Old got this one (again! ), but Dorien knew it too! Yes! Dorien had the location right (as most Miamians know it), but you got technically correct answer, adamold. The next one should be interesting! Thanks for playing, everybody! Adrienne Arsht Center Metromover Station [aka Omni].